Enjoy convenient round trip transfers for hassle-free travels! Hassle free. The guide is very helpful. You are free to roam around for about 4 hrs, hope they can increase it to 5 or 6 hrs. 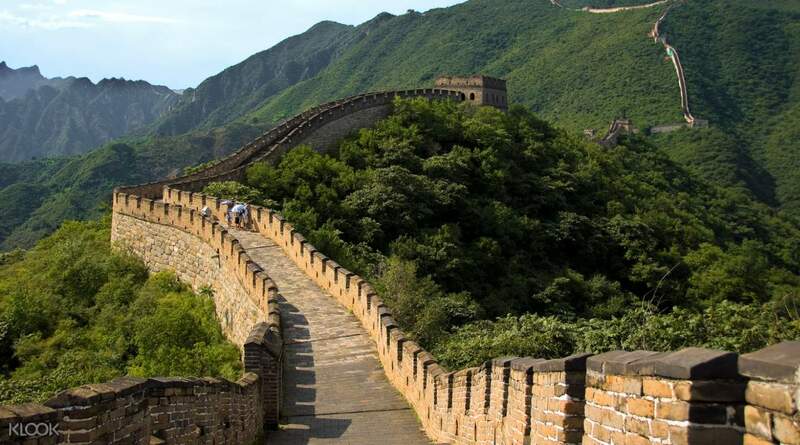 Headed to Mutianyu Great Wall to explore and admire the Great Wall of China? 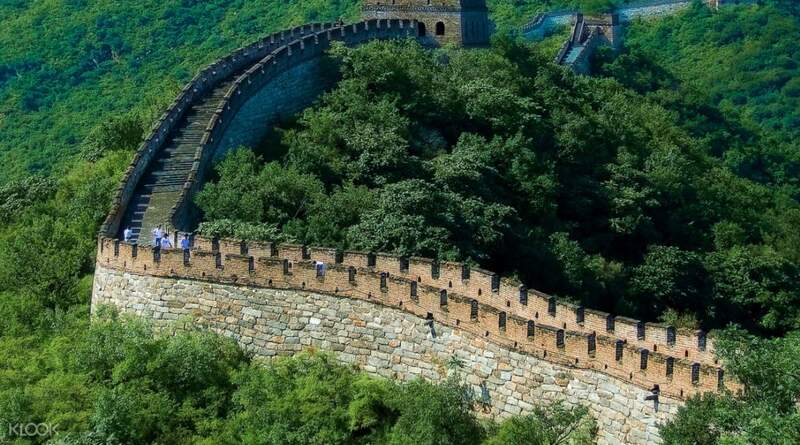 Get there safely and easily with a round trip bus transfer that departs from Downtown Beijing and to Mutianyu Great Wall itself. 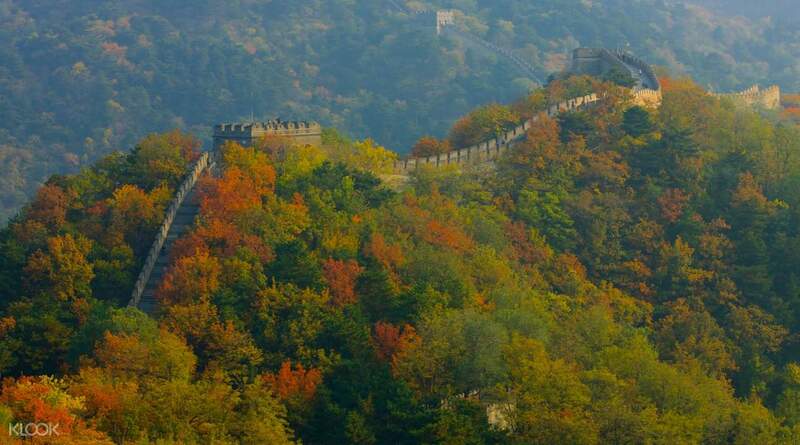 Mutianyu is considered as a UNESCO World Heritage site, one of the carefully preserved and restored areas of the wall that heralds back to its prime. Visitors can enjoy exploring this area, riding a variety of facilities and gazing out at the vast landscapes of mountains and greenery. 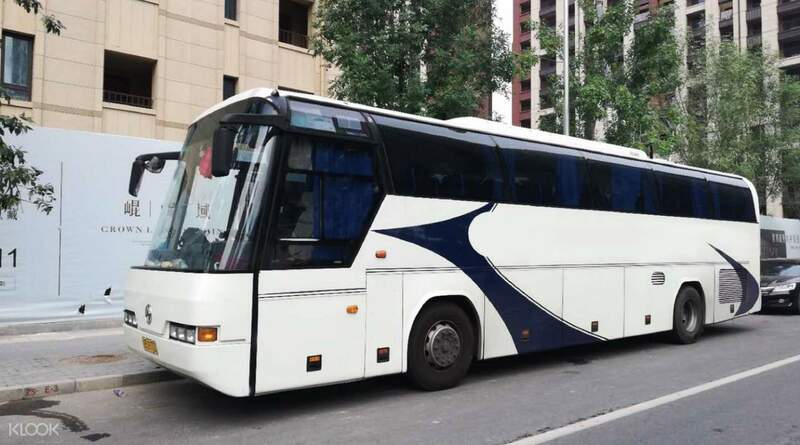 At the end of your visit, you can get back on board the bus and be safely dropped off back in Downtown Beijing. Tour participants who opt for the ticket package must bring valid IDs in order to avail tickets for admission. I have very good time here. our lovely tour guide jenny helped a lot, she found me local breakfast, so I could experience local breakfast in China, which was really good. the only thing I might highlight was the restaurant, the food took forever 😂, I was so hungry at that time but it was ok finally. highly recommend tour. grab it and you won't regret with the tour guide Jenny. I have very good time here. our lovely tour guide jenny helped a lot, she found me local breakfast, so I could experience local breakfast in China, which was really good. the only thing I might highlight was the restaurant, the food took forever 😂, I was so hungry at that time but it was ok finally. highly recommend tour. grab it and you won't regret with the tour guide Jenny. Excellent trip. The tour leader gave us a great history of the Ming Tombs and the Mutianyu section of the Great Wall. We stopped for lunch at the Great Wall and it was better than expected. We would highly recommend this tour. The tour guide was very nice and professional. She called me the night before to confirm the meet up point. And she arranged to drop us at Bird Nest and Water Cube after the Mutiayu tour which we were really appreciated. Excellent trip. The tour leader gave us a great history of the Ming Tombs and the Mutianyu section of the Great Wall. We stopped for lunch at the Great Wall and it was better than expected. We would highly recommend this tour. The tour guide was very nice and professional. She called me the night before to confirm the meet up point. And she arranged to drop us at Bird Nest and Water Cube after the Mutiayu tour which we were really appreciated. I would highly recommend this service if you want a hassle free travel to the Mutianyu Great Wall. It is so affordable - return bus tour, lunch and tour guides are included for a minimal cost. The bus driver and tour guide Lucy were very accommodative and pretty on time with the pick up. Lucy sent me a Whatsapp the night before the tour to provide me the information on the pick up tome I.e. 6:40am. We had enough time to walk around at the Great Wall and my boys went all the way up to tower 20 from tower 14. Lunch was abundant and lots of vegetables which I loved. Drinks were not included so we had to purchase separately- the price is ok. I would highly recommend this service if you want a hassle free travel to the Mutianyu Great Wall. It is so affordable - return bus tour, lunch and tour guides are included for a minimal cost. The bus driver and tour guide Lucy were very accommodative and pretty on time with the pick up. Lucy sent me a Whatsapp the night before the tour to provide me the information on the pick up tome I.e. 6:40am. We had enough time to walk around at the Great Wall and my boys went all the way up to tower 20 from tower 14. Lunch was abundant and lots of vegetables which I loved. Drinks were not included so we had to purchase separately- the price is ok.
Susie sent a message to my whatssap and made everything easy, pick up on time. Enough time to enjoy mutianyu great wall, nice lunch. When came back they dropped us of at bird nest, also a must visit in Beijing then can take Subway home. Susie sent a message to my whatssap and made everything easy, pick up on time. Enough time to enjoy mutianyu great wall, nice lunch. When came back they dropped us of at bird nest, also a must visit in Beijing then can take Subway home. This was a hassle-free way to get to Mutianyu and back downtown. Initially wanted to do a bus-taxi commute to Mutianyu based on a blog I found online. This option will be about 50% cheaper than this Klook voucher. However, coming from a 1AM arrival at the airport, I figured I wanted some sleep on the bus on the way to Mutianyu so chose this instead. Pick-up was made by a van at the hotel (mine was at Xicheng area) around 6:40AM. The van will then go around to pick up other tourists from their hotels. After this, the van stopped somewhere and we transferred to a bus which took us to the Great Wall around 9AM. We were one of the first few people to arrive so it was easy to take pictures. Lucy/Lulu was our guide and she was very helpful all throughout the trip. Since it was not included in the package, she volunteered to buy the tickets for the cable car (CNY 120 roundtrip - same price at the ticketing office so don't worry). The chair lift/toboggan ride, managed by a different company from the cable car, was closed when we went so had no choice really. We were asked to meet up at 12:40PM for lunch and left the area around 1:20PM. We chose Wangfujing as drop-off and we were there at about 3:15PM. Tried the beef (CNY 10 for 1 stick), chicken barbecue (CNY 10 for 4 sticks), and caramelized strawberry (CNY 15) at Wangfujing snack street. Loved them all especially the beef barbecue! This was a hassle-free way to get to Mutianyu and back downtown. Initially wanted to do a bus-taxi commute to Mutianyu based on a blog I found online. This option will be about 50% cheaper than this Klook voucher. However, coming from a 1AM arrival at the airport, I figured I wanted some sleep on the bus on the way to Mutianyu so chose this instead. Pick-up was made by a van at the hotel (mine was at Xicheng area) around 6:40AM. The van will then go around to pick up other tourists from their hotels. After this, the van stopped somewhere and we transferred to a bus which took us to the Great Wall around 9AM. We were one of the first few people to arrive so it was easy to take pictures. Lucy/Lulu was our guide and she was very helpful all throughout the trip. Since it was not included in the package, she volunteered to buy the tickets for the cable car (CNY 120 roundtrip - same price at the ticketing office so don't worry). The chair lift/toboggan ride, managed by a different company from the cable car, was closed when we went so had no choice really. We were asked to meet up at 12:40PM for lunch and left the area around 1:20PM. We chose Wangfujing as drop-off and we were there at about 3:15PM. Tried the beef (CNY 10 for 1 stick), chicken barbecue (CNY 10 for 4 sticks), and caramelized strawberry (CNY 15) at Wangfujing snack street. Loved them all especially the beef barbecue! For people considering to purchase but is afraid that tour guide will not contact you a day before, fret not, cause they will. Bud was punctual and picked us up at our hotel (within 3rd ring of beijing) and we successfully reached at around 9am. Zero crowd in december, managed to capture magnificent photos. Tour Guide Lucy was great with sharing the history and very responsible! well recommended!!! For people considering to purchase but is afraid that tour guide will not contact you a day before, fret not, cause they will. Bud was punctual and picked us up at our hotel (within 3rd ring of beijing) and we successfully reached at around 9am. Zero crowd in december, managed to capture magnificent photos. Tour Guide Lucy was great with sharing the history and very responsible! well recommended!!! We were picked-up at one of the meet-up points. Bus ride was comfortable and along the way the tour guide Lucy gave a briefing about the wall and what to expect for this trip. She would assist you as well to purchase cable car/chairlift tickets if you haven't done so yet. We arrived quite early enough to get photos with no crowds and enjoy the wall. It was an an amazing day, the sky was clear and blue and autumn colors all around. We headed back around past 1 which is good coz the crowds we're already pouring in and arrived back in Beijing around 3. We chose to be dropped-of at the Olympic area/national stadium area. Would recommend this for the convenience of getting to the wall and back to Beijing. We were picked-up at one of the meet-up points. Bus ride was comfortable and along the way the tour guide Lucy gave a briefing about the wall and what to expect for this trip. She would assist you as well to purchase cable car/chairlift tickets if you haven't done so yet. We arrived quite early enough to get photos with no crowds and enjoy the wall. It was an an amazing day, the sky was clear and blue and autumn colors all around. We headed back around past 1 which is good coz the crowds we're already pouring in and arrived back in Beijing around 3. We chose to be dropped-of at the Olympic area/national stadium area. Would recommend this for the convenience of getting to the wall and back to Beijing. We had a great experience at Mutianyu GreatWall. Thanks to Susie our tour leader for her best assistance on the trip, which she helped us to get cable car tickets as well. Thanks Susie. Thanks Klook! We had a great experience at Mutianyu GreatWall. Thanks to Susie our tour leader for her best assistance on the trip, which she helped us to get cable car tickets as well. Thanks Susie. Thanks Klook! I was kind of hesitant to book for group tours coz I’m worried that people might be late and inconsiderate of the time. Surprisingly, this trip has exceeded my expectations. We were picked up earlier, followed the schedule right on time. We were comfortable on a clean bus with nice tour guide Susy. We suggest not going to the Great Wall during Winter tho, the cold is bothering haha.. nevertheless, the trip is super awesome! I was kind of hesitant to book for group tours coz I’m worried that people might be late and inconsiderate of the time. Surprisingly, this trip has exceeded my expectations. We were picked up earlier, followed the schedule right on time. We were comfortable on a clean bus with nice tour guide Susy. We suggest not going to the Great Wall during Winter tho, the cold is bothering haha.. nevertheless, the trip is super awesome!